Unlike a traditional school trip which usually lasts about two hours, the Museum School Program provides teachers with the unique opportunity to make Museum London their classroom for a full week. Students participate in a variety of education programming and have the opportunity to reflect on what they have learned in journals that they update throughout the week. Assessment of the Museum School Program has indicated that it is particularly effective for students who find learning in a traditional classroom challenging. Recognition of the value of the Museum School Program was given when it was awarded the 2005 Museums and Schools Partnership Award from the Canadian College of Teachers and the Canadian Museum of Nature in collaboration with the Canadian Museums Association. 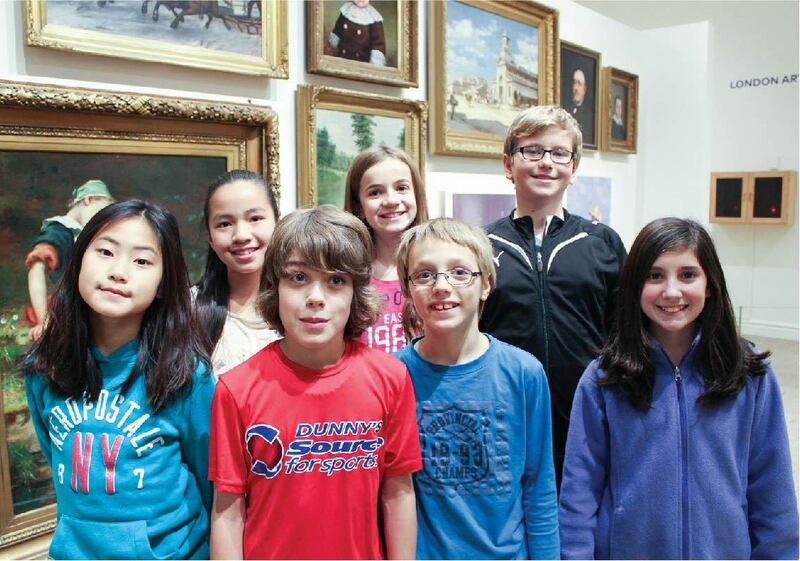 The London Museum School Program is a partnership between The Canadian Medical Hall of Fame, Fanshawe Pioneer Village, The London Regional Children’s Museum, Museum London, The Thames Valley District School Board and The London District Catholic School Board. We are grateful to our sponsors like London Life that make the Program possible.